Whether or not you are actually living with a narcissist you need to develop some coping strategies to keep you from melting down when you have to deal with them. When you have been in a relationship with a narcissist for any length of time you begin to wonder why the narcissist chose such a loser. After all, they are intelligent, charming, brilliant, and popular and you? Well, here’s a secret that your narcissistic spouse does not want you to know. Narcissists don’t choose losers as victims, they commonly choose only the best and the brightest. You see, the narcissist wins by taking a person who is confident, attractive, and successful and tearing them down over a period of time. There’s no challenge in a needy person. An intelligent, beautiful person goes along with what the narcissist sees as being a necessary part of their life. You are a trophy for them to hang on their wall. They’ll always go after someone who is better educated, has a higher social status, makes more money, or is attractive enough to get them noticed. It’s even better if the victim is all of those things in one package. So, oddly enough the mere fact that you’ve caught the attention of a narcissist attests to your above average abilities. Congratulations. There’s no time like the present to take back what your narcissistic spouse or ex-spouse has stolen and it all starts with regaining your confidence. If you are going to try to remain married to a narcissist you’ll need to be able to wear that confidence to deflect all of the arrows that they are going to be shooting at you. It’s what they do and it’s probably not going to stop. Having confidence allows you to look at what they’re saying and see it for the lie that it is. Confidence will also allow you to remain calm in the midst of an argument when they are using a tactic like gas lighting to break you down. One thing that we tend to do for the narcissists in our lives is to give them the best. I can’t tell you how many meals I have skipped so there would be enough food for everyone, or how many pleasantries I’ve given up to “bless my spouse”. I now have a particular hatred for those words and the blog posts that contain them. It’s time to draw the line to servant-hood in this case and it’s going to cause some major friction. Give yourself permission to sweep the cream off of the top once in a while. This can be a lot more difficult than you might think because you’ve gotten in the habit of always taking the crumbs that were left after they feasted. When you let yourself take the best once in a while you’ll be reminded that you are important – just as important as they are. Anger is never fun to endure no matter who is displaying it but a narcissist has a special gift of anger that is more intimidating than anything I have come up against. It doesn’t have to be spoken – they can get a look of disgust on their faces that will make you want to fall through the floor, or they can give the evil eye to end all evil eyes. A narcissist has the ability to make your stomach churn just by walking into the room in a bad temper. It doesn’t take long to want to do anything that will relieve the horrible pressure of their moods. 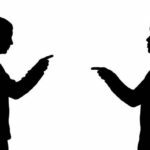 A narcissist will lose their temper over being corrected, being disagreed with, or because the wind ruffled their hair the wrong way. Losing their temper is one way that they control you and it is important for you to break that cycle. Walk away, leave the house, or roll your eyes and ignore them because a response only gives them power. When a narcissist gets into an argument they will lose all sense of right and wrong. They’ll make wild accusations, crazy statements, and use words out of context. Their whole argument will be confusing and incomprehensible if you refuse to be intimidated by the big words they are throwing around. There is no point in responding. Again, walk away. Staying and trying to get them to listen to reason is a waste of time. You don’t have to prove your opinion to them or anyone. Besides, they already know you are smarter than them or they wouldn’t have been attracted to you in the first place, remember? One of the first things that the narcissist will try to remove from your life is any sense of independence. It’s important that you retain this or re-establish it if you’ve let it go. Take an afternoon and go do something for yourself, take a class, or get a part-time job if you are a stay at home parent. Do what you need to do to make yourself feel fulfilled and happy. It’s not your fault, period. Sometimes we get in the habit of blaming ourselves for something the narcissist has done. Don’t fall into that trap. 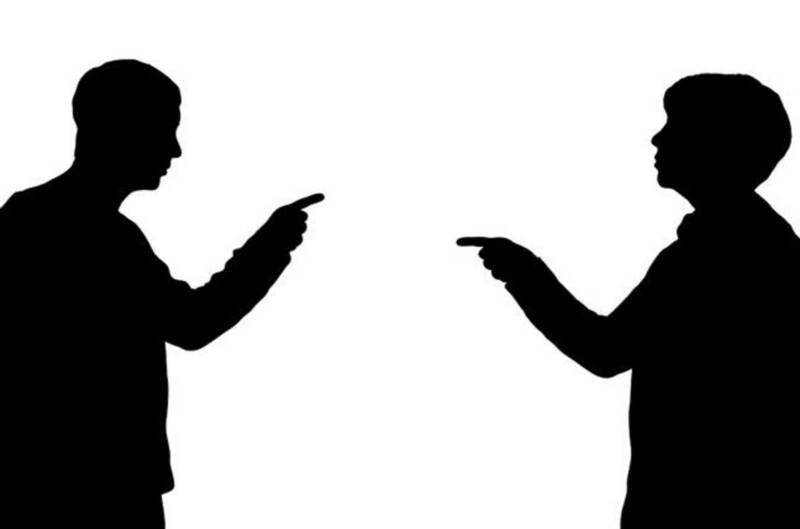 Victim blaming is a nasty habit some people have picked up in order to give themselves the false sense that if they do everything right they’ll never become a victim – nothing could be further from the truth. Narcissists will always create drama, they will always blame someone else for what they do, and they will always try to convince other people that the fault is someone else’s. They may even take partial blame if it means that they can shift it to someone else more easily. Narcissists are so comfortable lying that they lie about things they have no reason to lie about. If you ask them what colour their socks are they’ll tell you pink when it is obvious to everyone that the socks are blue. Lying and deception are their primary languages. Always take a look at check stubs and receipts and check the date to make sure they are the right ones. Surviving a narcissist means watching out for yourself and making sure that you do not become the victim of another one of their deceptions. You can survive a narcissistic relationship as long as you remember that such relationships are toxic and you can’t treat the narcissist like the nice person down the street. Keep your wits about you and you’ll do fine.